My daughter decided to photo bomb this picture. 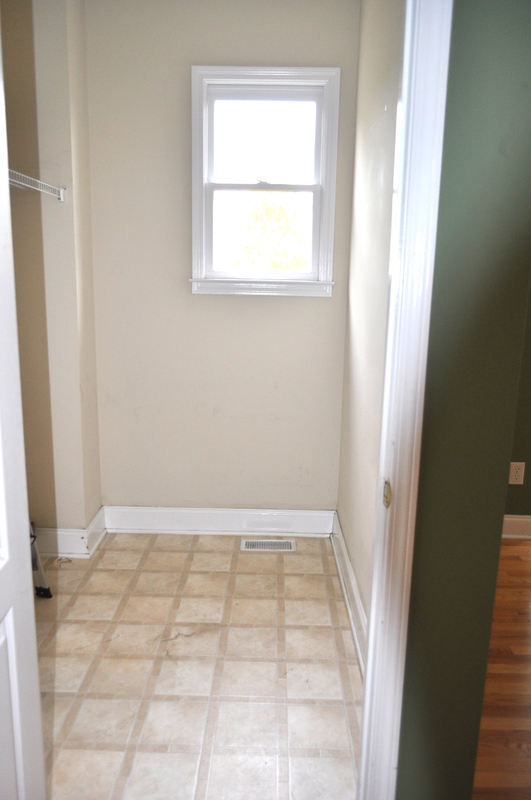 We decided to stay with linoleum for a few reasons… 1) It was the laundry room and it didn’t need anything fancy. 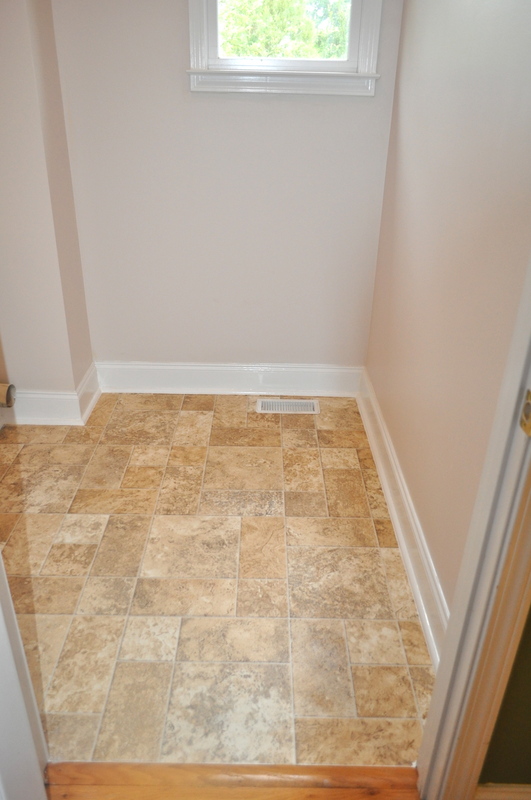 2) If anything leaked we didn’t want water seeping through grout and onto the basement. 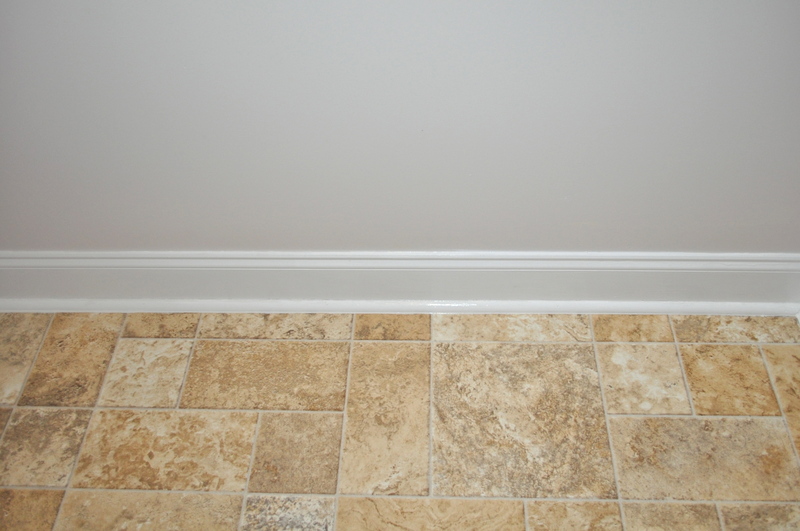 With one continuous sheet of linoleum caulked real well at the baseboards, we figured it would be less disastrous. And 3) it would be really easy to clean. We decided to go with a thicker higher end linoleum from Home Depot. With the higher end linoleum all you need to adhere it to the subfloor was Rhino Grip tape. All you do is place it all around the borders. 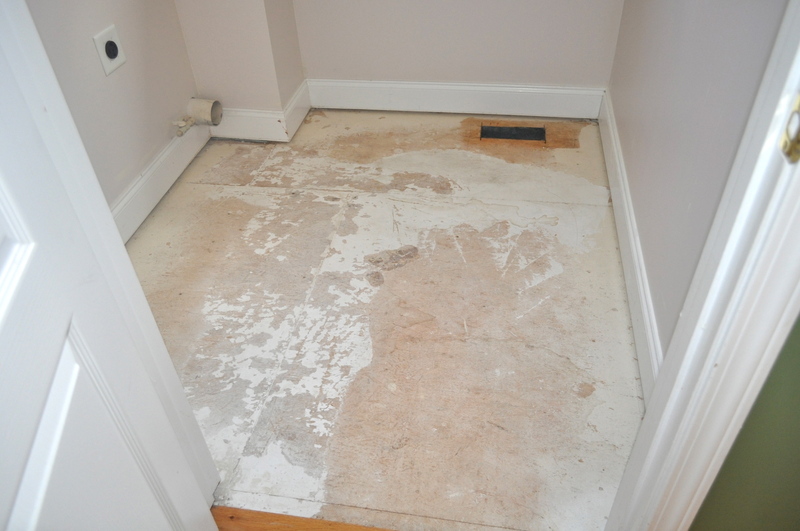 Here is a picture with the toe molding and linoleum removed. It was pretty easy to remove actually. 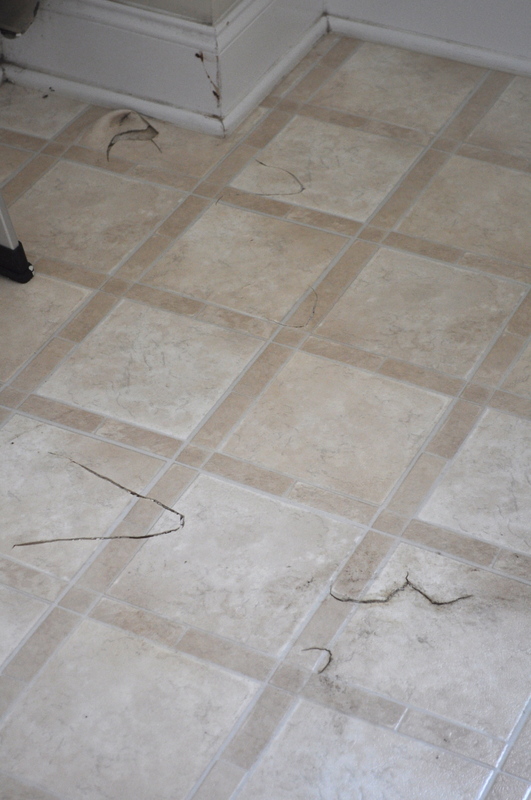 We cut the linoleum to fit the room and laid it down on top of the tape. 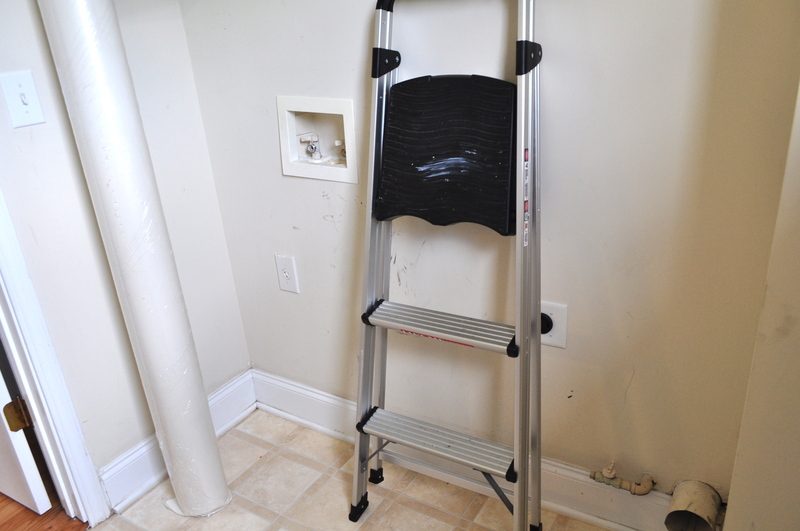 We then cut the toe molding with a miter saw, used our nail gun to install it. 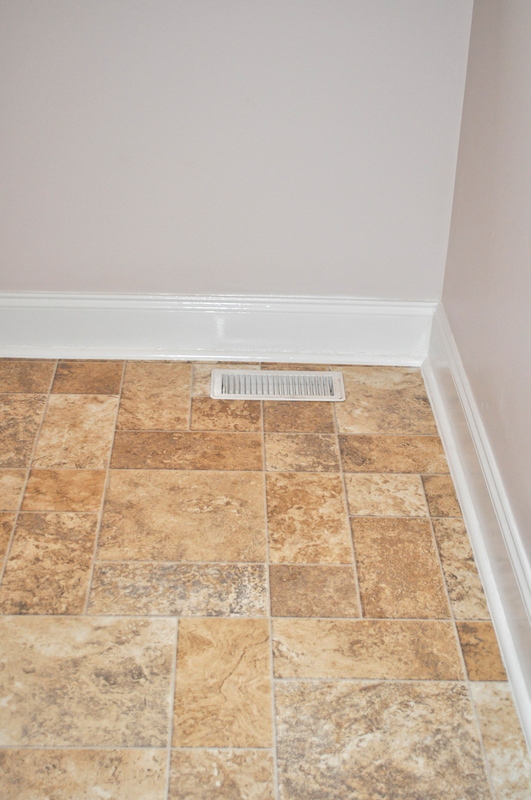 We caulked all around the molding and wood floor transition. 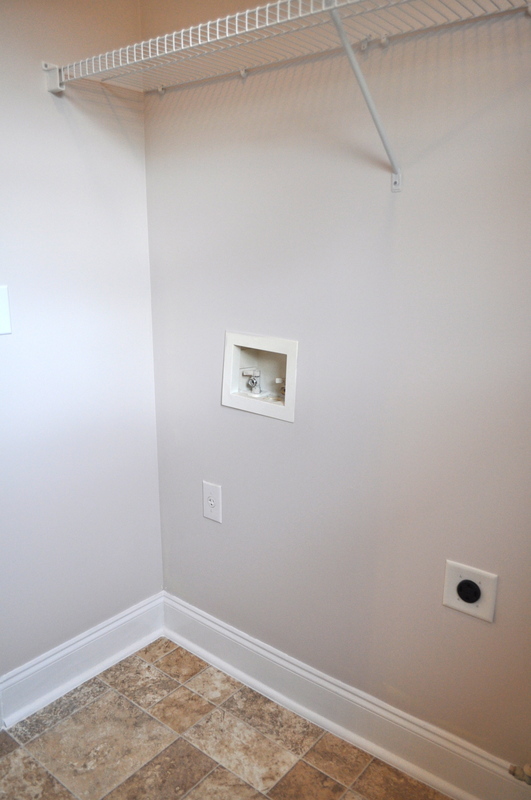 We then painted the baseboards and the walls. 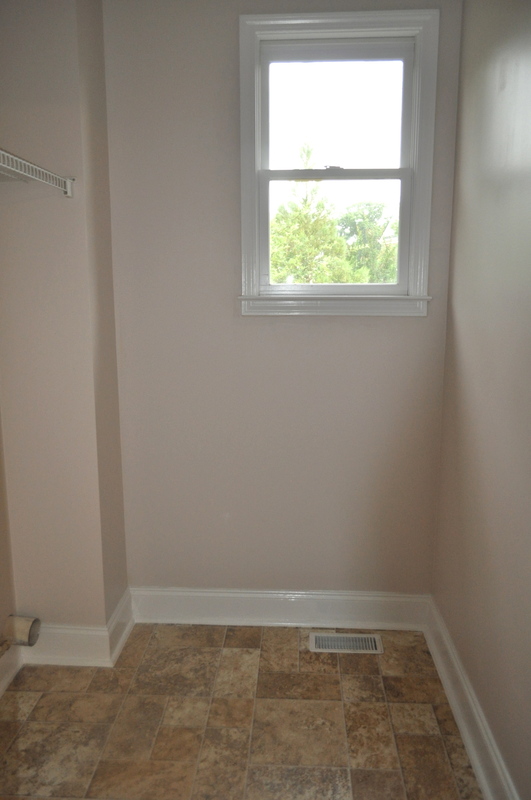 On the walls we used Behr’s Taupe Mist, since it is a pretty small space. I wanted to make sure it was bright and didn’t feel too confined. This is the final product. The first three pictures don’t show the true colors of the floor. It turned out too yellow for some reason. The last 2 pictures show the linoleum color closer to the real thing. We are definitely happy with the results. It looks, feels and even smells better than it used to. 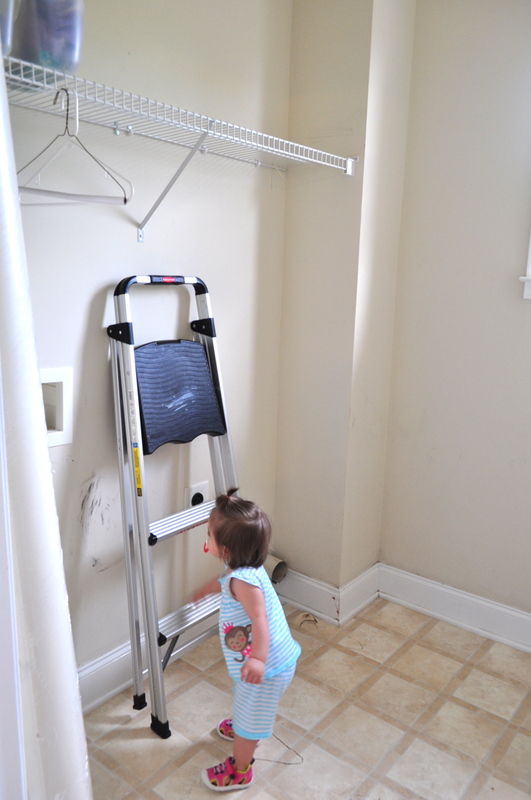 It’s not one of those fancy shmancy laundry rooms you see on Pinterest, but it works just fine. Plus I only do laundry in there, it’s not a show room. And there are other rooms in the house, I would much rather fancy up first. Hope you like the changes! Hi do you mind me ask what brand of paint and color did you use for your walls i really like it. Inwould appreciate it if you share it. Sorry no, correct number is Taupe Mist PPL-78.